The ultimate in ligature design. Quick and presise tightening with three interchangeable plates to adjust the timbre of your sound. Superbly made, with a gold plated finish for a rich colourful tone. 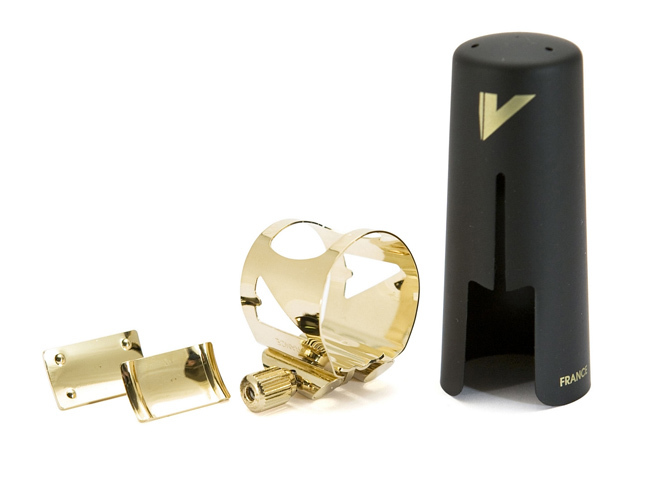 This ligature and plastic cap set fits most soprano ebonite mouthpieces.